This tastefully updated townhome in the coveted Fox Run Neighborhood has been lovingly maintained and is ready to impress! The wide open floorpan flows effortlessly between the living room (with its cozy gas fireplace), dining room, and kitchen with the perfect combination of newer carpets and manufactured hardwoods, fresh paint, and updated counters. The dining room walks out to the large patio and fenced backyard - perfect for entertaining guests or turning the kiddos or pets loose to play! Upstairs the master suite has its own private full bath, and two additional beds share a second full bath (a 1/2 bath is conveniently located on the main floor for guests). The attached 2-car garage provides space for parking & storage, and the shed in the backyard allows for even more storage! 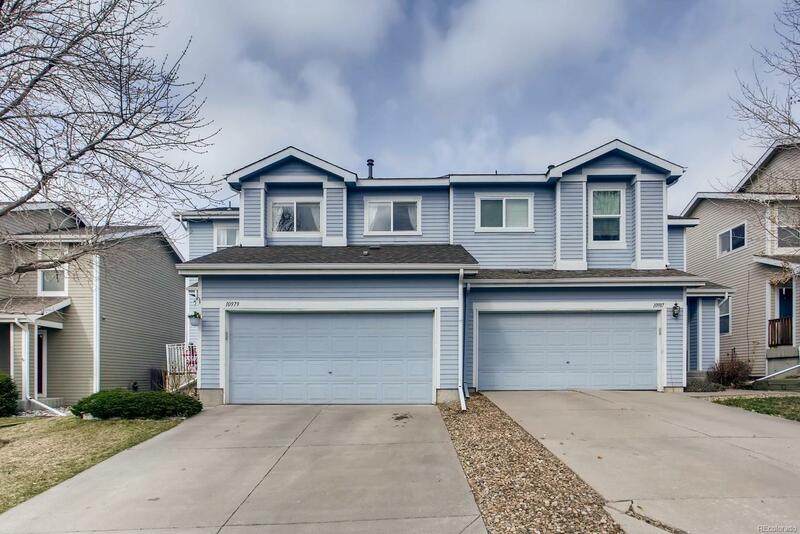 Conveniently located within easy walking distance of the upcoming light rail station and the Carpenter Park and Rec Center, this home has it all! Be sure to see it before it's gone!